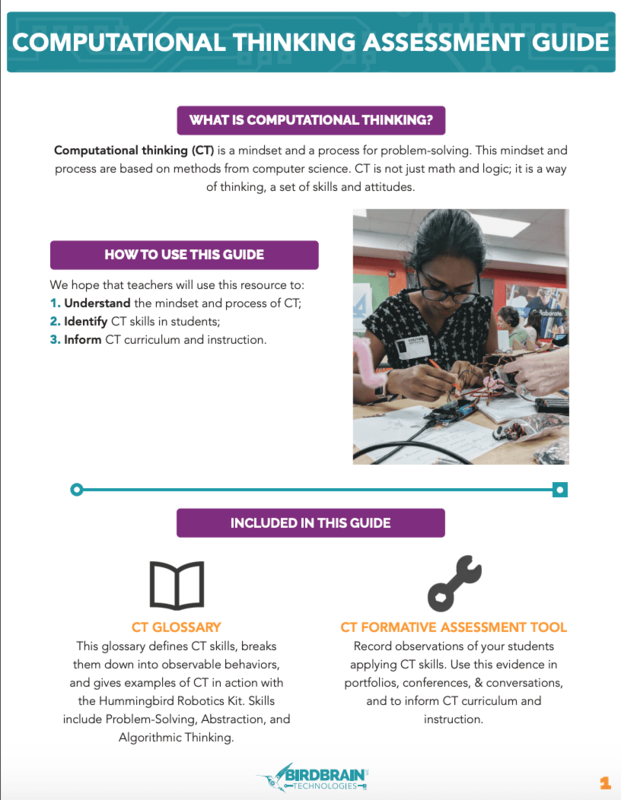 Use these Computational Thinking and Engineering Design assessment guides to identify skills in students and inform your curriculum and instruction. Computational Thinking (CT): A mindset and process based on methods from computer science. CT is not just math and logic; it is a way of thinking, a set of skills and attitudes. Engineering Design (ED): A mindset that encourages students to remain open to growth and improvement. 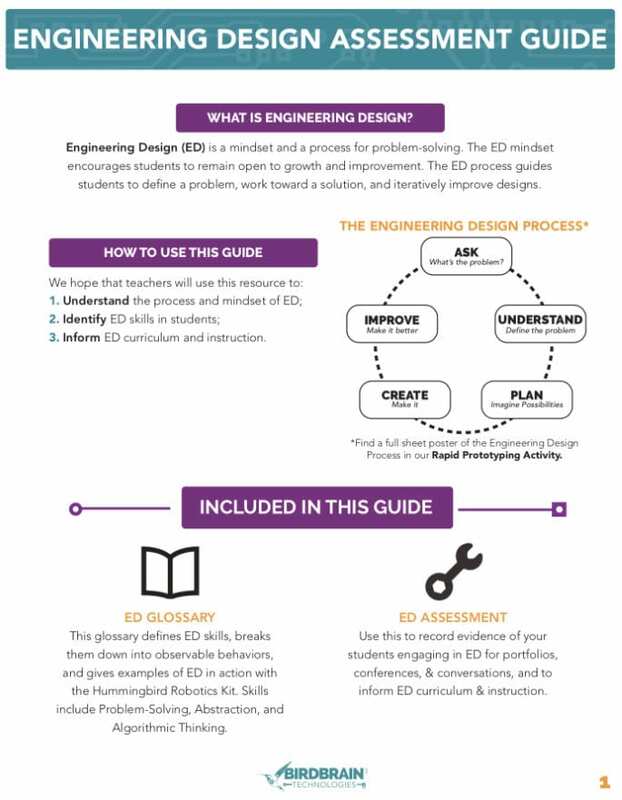 The ED process guides students to define a problem, work toward a solution, and iteratively improve designs.